For Saracens rugby club, the 2017-18 season ended in what is becoming increasingly familiar fashion. Their 27-10 victory over regular season winners the Exeter Chiefs at Twickenham on May 26 meant the Barnet-based club were crowned Premiership Rugby champions for the third time in four seasons. Having scored 84 points across the two playoff games following the regular season – scoring 10 tries along the way – Saracens certainly hit form at the right time. Now, as celebrations make way for preparation for the upcoming season, we spoke to Lead Sports Scientist Tom Sherriff about how he and his colleagues use Firstbeat Sports to help keep one of the best squads in European rugby at the peak of their powers. For several years now, Saracens have analyzed metrics as part of their preparation for every fixture in a packed schedule. 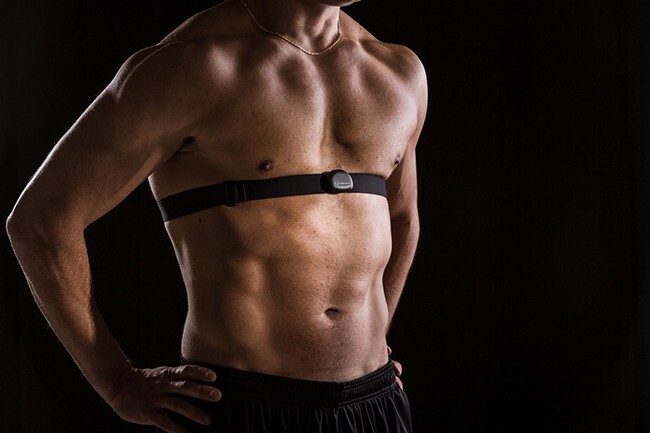 They have used Firstbeat Sports’ heartbeat monitoring system since 2007 to track internal physiological metrics and inform decisions ranging from load management to player rehab. One metric the four-time Premiership champions track during training sessions is time spent above 85% of maximal heart rate. Watching each individual player’s heart rate fluctuate within a session (each player wears a lightweight heartrate belt around their chest), Sherriff and his colleagues can gain real-time insight into the intensity of sessions and gauge whether correct demands are being placed on players at the right time. Coaches and players are aware of exactly what impact the ongoing session is having on player load. And, depending on if players are spending too much (or too little) time above 85% of their maximum heart rate, it can lead to changes being made to a session in real-time. Making changes mid-session depends on the importance of intensity within that session, but examples of this can be adjusting training game rules to increase intensity or flagging certain players for more fitness work if their numbers are low. And, as is natural with elite level athletes, there is an almost inevitable competitive element for players when they seek out their own data. “Because Firstbeat’s system can show everyone’s results on one page you do get increased competition and that does help drive training standards,” Sherriff reveals. Saracens have previously used heart rate data collected by Firstbeat to set player targets and, whether looking at accumulated weekly loads or single session intensity levels, the Premiership champions have seen it lead to increased competition within the squad to outdo each other. Saracens aren’t just using Firstbeat data to react to internal physiology and adjust during team sessions. 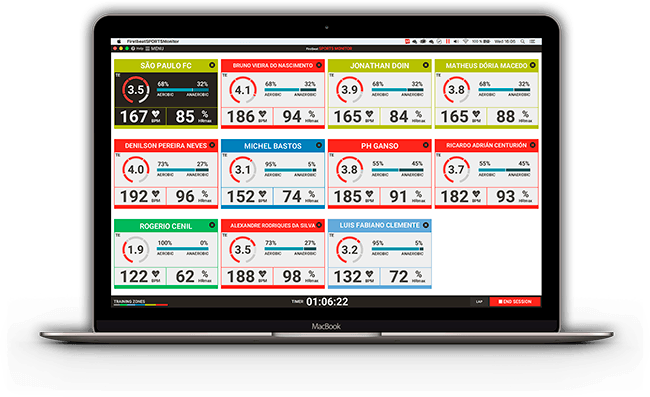 Monitoring metrics like HRmax over the entire season allows staff to be aware of ongoing trends and pass on necessary information to senior members of the coaching team when required – in turn helping decisions to be backed up by objective data rather than a hunch. Led by head coach Mark McCall, Saracens have nurtured a culture where data has become a big part of day-to-day activity beyond the training field. “It is intuitive and, because we use it everywhere from rugby to conditioning and we have used it in matches, players know what a good figure is for them for each of their metrics. So we get good buy-in. This positive culture – where everyone from the head coach, to strength and conditioning staff, to the athletes are aware of the value of the data being collected – is combined with an organized process for collecting the data. Sherriff and his team can streamline the data into manageable, actionable information that can be used to do what matters most, putting the team in the best position to win. “We’ve distilled Firstbeat data mainly into HR, minutes in intensity zones and TRIMP (Training Impulse) when communicating it to the coaching staff, to make it an efficient process” Sherriff explains. “The data will be presented in a color-coded table in two ways. One will be based on how an individual compares to other players who did that activity. Secondly, we have a ‘Z’ score showing how a player compares to what we’d normally see from them. So, we get two layers of comparison. “Mark (McCall) will often pick up on something in the data and get in touch with me and ask, ‘What do you think is going on?’. Or, conversely, if I notice something in real-time, analyse it and look at other data sources with it, I’m more than comfortable with going to Mark with a thought-out process.